Today I am going to write on Career options for students after 12th, B.com, Arts, Science, graduation etc. I will also tell you about exams conducted by UPSC, SSC and IBPS. In my blog I have chosen Career as a category because I always search for good career options for students. I have told you quite often that blogging can also be adopted as a full time career option. There are many other online career options which I have told you from time to time. But today I am going to talk about something different. Today I will tell you about the conventional career options for students available in India. I will tell you about various competitive exams which are available in India for students. These competitive exams are available after 12th or graduation. In this post I will try to cover all the available career options for students in Government Sector through various competitive exams. This post is necessary as I have seen many students are not even aware of the opportunities available for them. After reading this post I am sure students will have a good idea about the various career options available in government sector in India. To give you more clarity about the article I will provide this article in question – answer format and will cover about exams conducted by UPSC, SSC, IBPS and other important and popular exams for Government Jobs. I will explain in detail about various available career options for students. Question: What is UPSC and what are the names of exams conducted by UPSC? 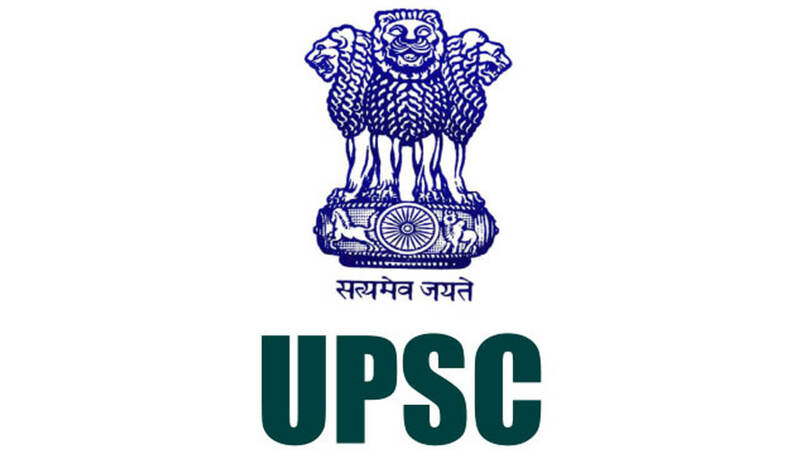 Answer: UPSC is the short form of Union Public Service Commission. This is the Central Recruitment Government agency of the country. The country biggest exam i.e. Civil Services Examination is conducted by UPSC. Many students often mistakes by saying IAS exam as UPSC exam. UPSC is actually not the name of any exam. It is a body which conducts the IAS Exam. But IAS is only one of the exams conducted by UPSC. There are many other very popular exams which are conducted by the UPSC. These exams are IFS, NDA, CDS, SCRA etc. Now let us discuss about the various exams conducted by UPSC to give you a fair idea. Civil Services Examination: The most popular exam of the country. For this exam the minimum eligibility is graduation. The exam is conducted for recruitment in various services such as IAS, IPS, IFS, IRS, IDES, IIS, etc. Engineering Services Examination: This exam is for recruitment of Engineers in various Government Departments and is also known as Indian Engineering Service (IES). Minimum eligibility is engineering graduate. Combined Defence Services Examination: CDS is for recruitment of Officers in Indian Military Academy, Indian Naval Academy, Indian Air Force Academy and the Officers Training Academy. This is a very popular exam and only unmarried graduates are permitted to take the exam. National Defence Academy Examination: NDA is another very popular exam conducted by the UPSC. This exam is for selection in National Defence Academy. The candidate must be unmarried and twelfth pass out. Other Exam conducted by UPSC: Apart from the above four most popular exams of UPSC, there are various other exams such as Combined Medical Services Examination, Indian Economic Service, Indian Statistical Service Examination, Indian Forest Service Exam, Special Class Railway Apprentices Exam, Combined Geo-Scientist and Geologist Examination, Central Armed Police Forces Exam etc. So you can see the importance of UPSC and the major exams conducted by it. All this exams are for recruitment of Officers and Administrative posts. You can know more details about these posts and exams by visiting the official website of UPSC. Now we will discuss about SSC which is probably the most important body of recruitment in India. I will tell you why and how SSC is so important in the answer of the next question. Question: What is SSC and what are the various exams conducted by SSC? Answer: While the UPSC conducts exams which recruit officials for Administrative posts. SSC is for general recruitment for various posts in the various Ministries and Departments of the Government of India and in Subordinate Offices. SSC is Staff Selection Commission and it conducts various exams for recruitment for various posts. The most popular exam of SSC is Combined Graduate Level Examination for recruiting non – gazetted officers to various government departments. SSC exams can be termed exams for the common students. Students with ordinary academic background can also prepare for these exams and there are good chances of getting jobs if one can prepare well. Even in UPSC exams there are chances for ordinary students also but level of competition in UPSC exams is much higher. I am providing you a list of various exams of SSC. Questions: What are the various Bank Exams available for the students? What is IBPS? Kindly provide complete details. Answer: In banks the openings are normally for the posts of Clerk, Probationary Officers and Specialist Cadre Jobs. The bank jobs can be categorized in Public Sector Bank’s Recruitment by IBPS, SBI Recruitment, Private Bank Jobs and Development Bank Jobs. IBPS is The Institute of Banking Personnel Selection. This is a recruitment body for recruitment and placement of young graduates in public sector banks in India. However SBI is not in its purview and has separate recruitment system. IBPS conducts Common Written Exams (CWE) for recruitment of Clerks, Probationary Officers, Specialist Officers and Clerks & Officer for RRBs. Every year IBPS conducts these exams throughout the year and lacs of students appear in these exams. IBPS Clerk and IBPS Probationary Officer are the most popular exams conducted by IBPS. State Bank of India is having a separate recruitment exam for the recruitment of Clerks, Probationary Officers and Specialist Officer. The SBI Exams are equally popular among the students. Private Banks such as Axis Bank, ICICI, Federal Bank etc. also conduct their separate exams for recruitment. There are various development banks such as NABARD, SIDBI, NHB etc. which also conduct separate exams for recruitment. So you can see that there are various opportunities available for bank jobs. If you are not using these opportunities I am sure you will find this article and information very useful. You need to keep visiting websites of IBPS, SBI and other banks regularly which will help you to make you aware about these recruitments. Questions: What are the other career options for students / competitive exams for recruitment of other government jobs other than those already covered above? Answer: I have told you so far about the exams conducted by UPSC, SSC, IBPS etc. These are the core exams for recruitment in various government departments as well as in Banks. However there are various other exams also. But these exams are not that well scheduled as the exams conducted by UPSC, SSC and IBPS. Other popular exams are of Railway. Railway is the largest recruiter and it conducts various exams throughout the year for various posts. You need to regularly visit RRB websites or check Employment News to be aware about these recruitment notifications. State Public Service Commission also announces vacancies from time to time for recruitment in various State Government Departments. There are direct recruitments by various Public Sector Organizations such as BHEL, NTPC, SAIL etc. You can check Employment News on a regular basis for these recruitment notifications. There are various direct recruitment notification by Indian Army, Indian Air Force and Indian Navy. You should also check these recruitment notifications. There are regular job notifications for Government Teachers, Lecturers, Professors etc. Conclusion: So you can see that there are numerous career options for students. Despite huge unemployment and tough competition there are various opportunities. Students who are vigilant, prepare well and apply on a regular basis are bound to get government jobs. On an average every year one can apply in about 20-25 government jobs. Despite tough competition those who appear regularly and prepare continuously get the job in the end.